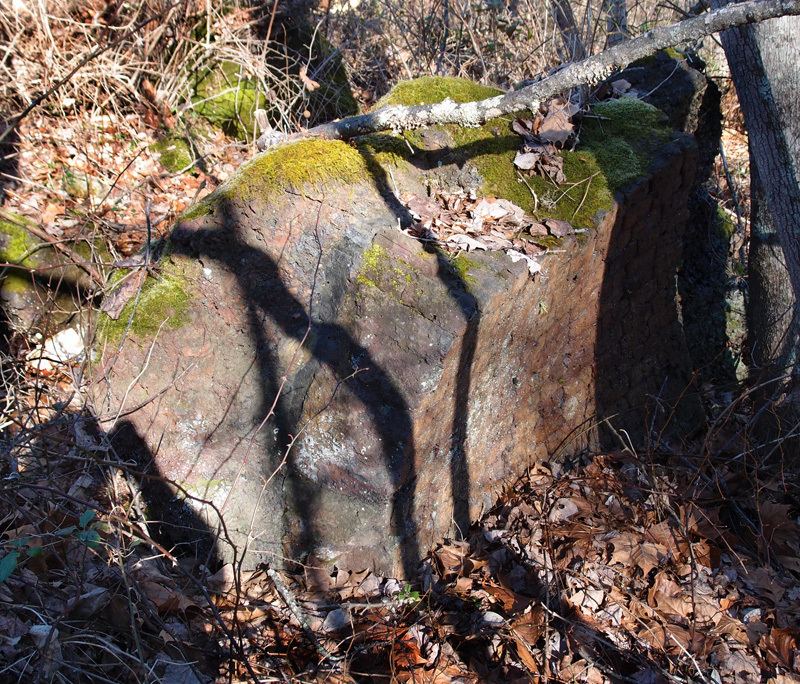 This is a remnant of one of the 200 coke ovens that once lined the valley behind the extant power building along what is known now as Fire Hall Road in Keokee VA. A rail spur brought the coal in and took the coke out, bound for steel mills in the north. If you look carefully, you can see the curve of the right side of the heavy piece of brickwork. That’s firebrick that lined the inside of the oven. My friend Mr. Stone (an expert in topo maps, Google Earth and the old coal mines and towns in Southwest Virginia) and I saw these ovens intact maybe five years ago. When we came back some time later to take photos, they were all gone. Paraphrasing Bob Dylan’s “My Back Pages”, I was older then, but I’m younger than that now and I always carry a camera with me. When Iw as a small boy we used to walk to the theatre and watch Lash Larue movies. on the way home we walked across the top of the coke ovens and played. Drive my mother nuts! She was afraid we were going to fall through and get hurt. Not quite on the subject, but I thought Lash Larue was too cool when I was a kid. I was all for having a whip. Thankfully, mom stepped in. I was… sorry gang. Sometimes my fingers go faster that my brain.